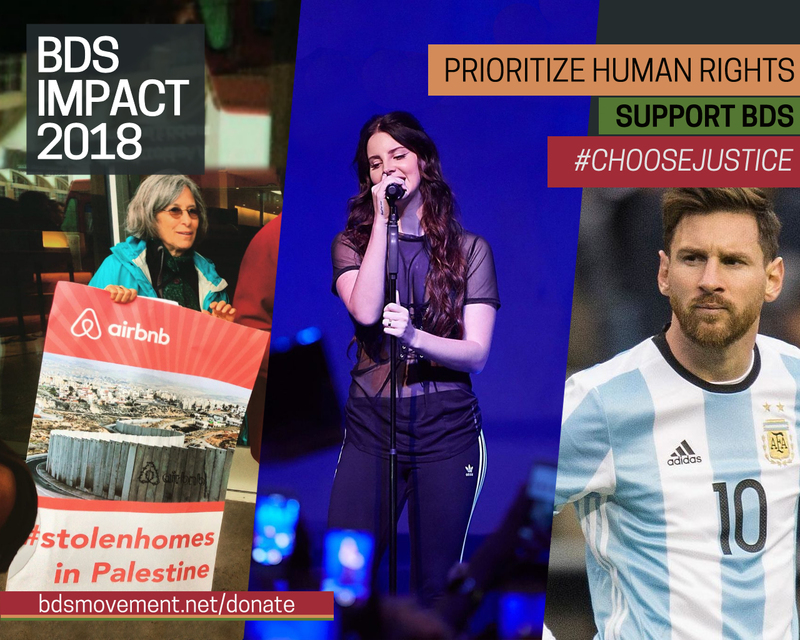 Here are 18 highlights of direct and indirect BDS impact from 2018. We celebrate the extraordinary strides that the BDS movement for Palestinian rights has made with your support. We are exposing Israel’s crimes and apartheid policies and building pressure to end them. Please donate to help us do more in the year ahead. Together we can, and will, make the words “freedom, justice and equality” not an aspiration, but a reality.